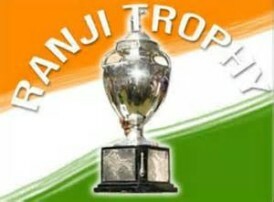 If one happens to look back into the history of Indian cricket there have been certain state teams like Mumbai, Karnataka and Delhi who had extended period of dominance in the domestic level by winning the Ranji trophy a number of times. These states have produced cricketers of the highest pedigree that formed the nucleus of the Indian team over the years. With the inception of the IPL, cricket has spread to distant parts of the country and the composition of the Indian team has undergone a paradigm shift. There have been cricketers from the so called small towns who made it big to the national team. Who could have thought of a Ravinder Jadeja or Chetashwar Pujara from Saurashtra, Saurabh Tiwari from Jharkhand,Umesh Yadav from Vidharbha or Sanju Samson from Kerala make strong cases for selection into the national team. Hence one won’t be wrong in saying that the competitive landscape of Indian cricket has broadened for the better. However the traditional nurseries of Indian cricket continue to hold their forte at the top of the pyramid with new sides continuing to pose a real challenge to them for being the Kings of Cricket at the Domestic level. So let’s go down into history and look at the most dominant state teams in Ranji cricket which contributed significantly to the Indian team. I have taken into account two important parameters for making my case of listing out the top ten States that have made the cut. Firstly, how many times has a state association/team won the Ranji Trophy, India’s premier domestic cricket title and how many cricketers from these state teams have gone onto represent India in test or One Day cricket for a sustained period of time. Right from when India became independent and had a first class structure of its own; Mumbai has been the so called Big Brother in the domestic circuit owing to their sheer dominance in winning India’s premier domestic title, the Ranji Trophy. Mumbai to cricket is what Kolkata offers to Soccer to our country. It is in the DNA of a Mumbaikar to play the Gentleman’s Game on the so called maidans enriched with the red soil of the Deccan belt. Mumbai can hold its head high as it produced test cricketers of the highest order who served our nation with great honor and distinction. Right from the days of the graceful Vijay Merchant to Vijay Manjrekar, Mumbai left a mark on the international scene with great stroke-makers. Polly Umrigar was the first batsman who garnered the respect from the international fraternity to come out of Mumbai in the post-independence era. Polly was an attacking batsman who destroyed attacks in overseas conditions. Farokh Engineer was a stylish batsman and wicket-keeper during the 60s.The 70s and 80s was all about the little master Sunil Gavakar who tamed the deadliest of bowling attacks with his dodged defence and flawless technique.Sunny Gavaskar became one of the greatest test openers to ever grace the game. Mumbai also produced a great test batsman in Dilip Vengsarkar who was a prolific run scorer during the 80s. Meanwhile Sandeep Patil was a dashing batsman of the 80s who had an attacking dimension to his game. Ravi Shastri was a cricketer with lot of grit and opened for India in hostile overseas conditions. Shastri was effective with his slow bowler. Sanjay Manjrekar like his father Vijay was a batsman with sound technique and cool temperament who served India well in test cricket. Meanwhile Praveen Amre was another batsman from Mumbai who had a stellar start to his international career but got left behind in the realms of domestic cricket. Sachin Tendulkar was Mumbai’s greatest gift to Indian cricket and became a demi god of sorts owing to his enormous fan following across the country. Sachin stood like a rock between victory and defeat all through the 90s.Milestones came and went and Sachin became a prolific run scoring machine for almost two decades and finished his career as one of the all-time greats of the game. The nineties also had the talented yet maverick Vinod Kambli who was a heap of talent but never realized his full potential. In recent times, the talented Rohit Sharma with his lazy elegance looks to have every shot in the book and is a treat to watch when in full flow. Meanwhile Ajinkya Rahane with a steady temperament is a perfect blend of good technique and elegant stroke play.Wasim Jaffer who had a penchant for scoring big runs in Ranji Trophy also opened for India in test cricket. Sairaj Bahutule,Nilesh Kulkarni and Romesh Powar were spinners who represented the country for a brief period of time in limited overs cricket. Over the last decade and a half, Zaheer Khan has been India’s leading paceman in test cricket. Khan matured into a world class seamer, bowling with lot of control and guile.His stint in county cricket helped him mature into a complete test bowler. The wiry yet lively Ajit Agarkar was a natural wicket taker in ODI cricket.The enigmatic Agarkar clocked decent speeds and bowled some match winning spells for the country in the shorter version of the game. Karnataka comes only second to Mumbai in churning out cricketers of world class pedigree. The state has been a powerhouse in domestic cricket from southern India. could be best remembered for producing batsmen with style and elegance. Be it Gundappa Vishwanath or Rahul Dravid, both had copy book techniques and batted the way purist would have liked them to do so. Erapalli Prasana was one of the leading spinners who mastered the craft of leg spin bowling in an era where the art was dying. Prasanna became part of the famous spin quartet of the 70s, which formed the backbone the Indian test bowling for almost two decades. During the 80s, Roger Binny was a handy all-rounder for India who contributed with both bat and ball. Meanwhile Syed Kirmani was a fine wicketkeeper and handy lower middle order batsman during that time period. The Karnataka side of the 90s was the dominant force in domestic cricket and half of the Indian team was made up of players from Karnataka. Rahul Dravid an epitome of classic text book technique was India’s best batsman in overseas conditions. His solid defence and consistency in scoring runs led him to be called the Wall of Indian Batting. Dravid was a selfless cricket who played according to the requirement of the team. He dawned the wicket keeper gloves when the team need him to do so. The pace duo of Javagal Srinath and Venkatesh Prasad formed a potent pace bowling combination and lead the Indian attack all through the 90s. Anil Kumble was India’s greatest match winner with the ball in the 90s.Kumble mesmerized the best in the world with his flippers and googlies and won many a matches for India under Azharuddin’s era on home conditions. Sunil Joshi was another effective slow arm bowler and handy lower order batmen. Vijay Bharadwaj would be best remembered for his heroics at the ICC knockout tournament in Kenya, where he was declared the Man of the tournament. Karnataka produced handy seamers like Dodda Ganesh and David Johnson who made it to the Indian team. Attacking batsman Robin Uttappa flourished for a brief period with his aggressive stroke play in the limited overs arena. In recent years R Vinay Kumar,Abhimayu Mithun, S Arvind and Stuart Binny have made it to the national team owing to their consistent performances in domestic cricket and IPL. Meanwhile Manish Pandey and KL Rahul look to have great potential in them to play test cricket for the country. The national capital region could not be left behind from the leaders pack when it came to contributing to the cause of serving Indian cricket. Delhi has been a dominant force in the Ranji trophy from the northern part of the country. Bishen Singh Bedi was Delhi’s first big superstar. Bedi formed part of the successful spin quartet of the 70s and left his mark as India’s best leg spinner of his time. The hard working Chetan Chauhan opened in test cricket with Gavaskar, owing to his consistent run scoring exploits in the domestic structure. Ajay Sharma and Kirti Azad were prolific run scorers in the Ranji Trophy who made to the national team in the 80s. Madal Lal was one of the leading all-rounders of Indian cricket who did well in the ODI format during that era. Madan had notable success in the Ranji Trophy and was instrumental in Delhi successful during those days. Maninder Singh was Delhi’s ace spinner in the domestic circuit who played test cricket for India. Manoj Prabhakar became one of India’s leading all-rounders in the limited overs format in the early 90s.Prabhakar was a handy batsman and opened the bowling with the great Kapil Dev in the early part of the 90s. Prabhakar became quite famous with his ability to bowl yorkers. Meanwhile the likes of Atul Wassan and Vivek Razan who were always among the wickets in Ranji trophy made it to the national team in the early part of the 90s. With the turn of the century Delhi Ranji team has been a force to reckon with. Seasoned Ranji veteran and now turned commentator Akash Chopra had the perfect technique and sound defence to open for India in test matches. Virender Sehwag could be hailed as India’s greatest match winner with the bat in test cricket .Viru’s destructive stroke play at the top of the order gave nightmares to the best of bowlers and broke the spirit of the opponents. Sehwag was very handy with his off spinners too in limited overs cricket. Sehwag’s bludgeoning stroke play was instrumental in India’s overseas victorious in test matches in the Ganguly-Wright Era. Meanwhile Gautam Gambhir was a very dependable opener in the international scene and formed a potent opening combination with Sehwag for some time, before he fell out of favour with the selectors. Delhi’s poster boy Virat Kohli has been the most prolific and consistent run scorer for India in the last 5 years or so. He has been hailed as one of the best batsman in the world in the limited overs owing to his match winning hundreds and sheer consistency in scoring runs while chasing down big totals. Kohli looks highly determined and passionate about his game, which sets him apart from his counterparts. Shikar Dhawan has also come up the ranks through consistent performances in domestic cricket and showcased his potential in the limited overs format with his aggressive stroke play as an opener. Ashish Nehra has been the best seamer to come out of state team in recent years. Nehra has bowled some match winning spells for India when in full flow. Brilliant on one day and a mere shadow of his own the very next outing; injuries have plagued his international career to quite an extent. The tall and lanky Ishant Sharma was been one of the frontline seamers in international cricket. Ishant extracts good pace and bounce off any surface owing to his height which makes him a dangerous seamer on bouncy tracks. Amit Mishra has been Delhi’s most successful leggie in recent years and done well for India whenever called in for national duty. Mishra gives a lot of flight to the ball and deceives the batsman through his drift and turn off the pitch. Over the years Delhi produced spinners like Nikhil Chopra, Sarandeep Singh and Rahul Sanghvi who did well in the limited overs arena. Tamil Nadu has always battled hard with Karnataka in the battle of reigning supreme in cricketing dominance from Southern India over the years. Kris Shrikant was a dasher in an era where defence was the order of playing the longer form of the game. He had his own unorthodox style of going after the bowling, which made him quite successful and popular in the ODI format. WV Raman was a hard hitting opener who made it to the one day side and played a few eye catching innings. Sadagoppan Ramesh known for his stand and deliver approach without much footwork also had a brief stint as a successful opener in the Indian test side. Robin Singh was one of the finest all-rounders to play for India in the 90s. Robin played his cricket with passion and gave his all whenever he represented India. Robin was a dangerous hard hitting batsman and bowled his military medium pacers to great effect. For his age, he was a tremendous fielder too. Tamil Nadu produced seasoned all-rounders in Hemang Badani and Shridharan Sriram who represented India in ODI cricket. Dinesh Kartik, a handy wicketkeeper batsman has been called up for wicket keeping duties whenever MS Dhoni has not been available .Lakshmipathy Balaji was a fine seamer from Tamil Nadu, who won many a hearts with his infectious smile. A sustained back injury thwarted a promising career ahead of him. Subramanian Badrinath was another cricketer who scored heavily in domestic to finally earn a berth in the national team. Murali Kartik (played for the Railways) made it to the Indian team in an era where we had a lot of spinners at our disposal. A thinking and crafty spinner, Kartik bowled according to his limitations and was economical in the shorter format of the game. Murali has been successful in his stint in county cricket. Ravichandaran Ashwin has been India’s most successful spinner post the Kumble-Bhajji era. Coming into the national team on account of some match winning performances in the IPL, Ashwin has matured into a fine test bowler owing to his guile and variations which he brings with his tall action. Ashwin has contributed well with the bat too whenever the situation had demanded. Murali Vijay is another player from Tamil Nadu who caught everyone’s eye with his attacking yet elegant stroke play in the IPL. Murali has cemented his place as a regular test opener courtesy his consistent performances in testing overseas conditions. Baroda’s Ranji team has been overshadowed by Mumbai’s sheer dominance in cricket from the western part of India. Vijay Hazare was India’s first batsman to create an impact in international cricket. Hazare dominated bowling attacks and became the main stay of Indian batting in the 40s and 50’s. Baroda has the knack of producing some of the finest gloves men in the test arena. Right from the acrobatic Kiran More to the vivacious Nayan Mongia, both were brilliant behind the stumps and made decent contributions with the bat too. Atul Bedade a hard hitting batsman who slayed bowling attacks in domestic cricket made it to the Indian team and created an impact of his own by hitting sixes at will during his brief stay in top flight cricket. Jacob Martin was a prolific run scorer in domestic cricket who made it to the national team but could not replicate his domestic form. Munaf Patel came in as a tearaway fast bowler who caught everyone’s attention. He later on became a line and length bowler to prolong his international career. Irfan Pathan was one of the finest swing bowlers to play for the country. Pathan’s late in-swing brought him resounding success at the international level. Pathan’s peak came when he took a hat trick against Pakistan in 2004. Pathan was a capable batsman too who scorer useful runs lower down the order. Tall and strongly built, Yusuf Pathan is one of the strongest hitters of the ball and can demolish any attack on his day. Pathan has scored some blitzkrieg cameos lower down the order to take India across the line in ODI cricket. Pathan has also been used effectively with his right arm off spin bowling. Ambati Rayadu has been Baroda’s latest export to the international arena. Rayadu seems to be a very handy middle order batsman who has always done well when called in for national duty. He can keep gloves too. In West Bengal and the eastern part of the country where football is very popular and widely followed, Bengal has stood out and created a place for itself in producing some of the finest cricketers in the history of Indian cricket. Pankaj Roy was India’s regular opener in the 60s. Roy forged many a partnerships with Vinoo Mankad to combat the heavy artillery of pace bowlers of those times when Indian cricket was finding its feet in the test arena. In the 80s, Arun Lal was a prolific run scorer for Bengal at the domestic level, who got to represent India. Dilip Doshi was a spinner who was regularly among the wickets in test cricket during the same era. Seasoned Ranji veteran Devang Gandhi opened for India for a brief duration. Meanwhile, Syed Saba Karim was a decent wicketkeeper batsman who played a couple of ODI games for India in the 90s. But it was none other than “Prince of Kolkata” Saurav Ganguly went onto become India’s greatest test captain. Ganguly was a prolific ODI scorer who had a penchant for scoring big hundreds. Ganguly combined well with Sachin Tendulkar to form one of the greatest opening pairs in limited overs cricket. Ganguly’s medium pace came in very handy to break partnerships in seamer friendly conditions. Ganguly transformed Indian cricket for the better by instilling a fighting attitude and winning habit to take the best of sides in their backyard on hostile conditions. He had an eye for picking up talented youngsters who turned out to be great cricketers for India in the years to come. Meanwhile Laxmi Ratan Shukla, Rohan Gavaskar and Deep Das Gupta were the other cricketers from Bengal who represented our country with distinction during the early part of the next millennium. Manoj Tiwari a consistent run getter in domestic cricket has made it to the Indian team but still needs to realize his full potential. Wridiman Saha is technically the best wicket keeper in the country who has filled in the shoes of MS Dhoni to perfection post his retirement from the longer form of the game. In recent years, West Bengal has produced some promising seamers who have dawned the blue uniform for India. The pacy Ashok Dinda is a skitty customer off the deck who surprises many batsmen with his deceptive pace. Muhammad Shami is another quality pacer who has a knack of picking up wickets on a consistent basis. He generates good pace upfront and has the ability to bowl brilliant yorkers at the death overs. Hyderabad has brought in that touch of royal class, true to it being the City of the Nawabs. Muhammad Azharudin became India’s long standing captain of the 90s. Azharuddin was one of the best batsmen ever to grace Indian cricket. Azhar was a dependable middle order batsman known for his sublime and wristy strokeplay. Azhar was an athletic bloke and kept his fitness levels intact to become one of the best slip fielders the country ever had. Venkatpathy Raju was part of the spinning troika including Anil Kumble and Rajesh Chauhan during the 90s.“Muscles” as he was popularly known on account of his lean and wiry frame contributed to many Indian victories on Indian subcontinent. VVS Laxman followed Azhar’s footsteps and was well known for his wristly stroke making and sweet timing. VVS garnered a lot of respect from the formidable Aussies as he was a flesh in their thorn owing to some match winning innings against them. Laxman shall be remembered for forging partnership with tail enders in stroking India out of danger when the chips were down. Praghyan Ojha had been the latest cricketer from Hyderabad to dawn the Indian uniform. Ojha bowls within his limits and has good control over his spin. He has struck a good partnership with R Ashwin and has being among the wickets in the test series played at home. The Amarnath brothers most notably Mohinder Amarnath brought Punjab into the limelight on the domestic cricket scene. Mohinder Amarnath became one of the best players of fast bowling in an era where subcontinent players were exposed to pace bowling. Amarnath had great skills with the ball too, swinging and cutting his slow medium deliveries. He had a brilliant campaign at the 1983 World cup and won the man of the match in both the semi-finals and finals of the World Cup. Navjot Sidhu turned himself from a “Strokeless wonder” to “Sixer Sidhu” by turning into a capable opener in both formats of the game. Sidhu could wear down attacks with his dodged defence and tonk the best of spinners out of the park at will at the same time. Perhaps temperamental issues and some differences with the team management never allowed our “Jonty Singh” to settle down in the Indian squad. Yuvraj Singh has been one of India’s most talented cricketer to come out of Punjab.Yuvi had a flee flowing elegance to his batting which helped in finishing off many a matches for India.Yuvi has come in handy with his left arm slow bowling to break partnerships in ODI cricket. He infused a new sense of athleticism to Indian cricket owing to his brilliant fielding .Yuvi built a reputation of being a big match player by contributing significantly with bat and ball at the 2011 World Cup.Yuvraj’s U-19 compatriot Reetinder Singh Sodhi promised to be a useful all-rounder but faded away from international cricket rather quickly. Harvinder Singh was another pacer from Punjab who made it to the national team in the 90s. Punjab produced quickies in VRV Singh and MS Gony both of whom had brief stints in the national team. Dinesh Mongia was another talented batsman from Punjab who had a brief stint in the Indian team but never lived up to his potential at the International level. Harbhajan Singh has been India’s best off spinner in the last two decades. Harbhajan picks up wickets in heaps when he gets his act going. The “Turbanator” became a clever exponent of the Doosra and extracts good bounce and turn for a spinner. Harbhajan has scored some useful runs with the bat lower down the order. The current team has a talented batsmen in Mandeep Singh and who could possibly play for India in the near future. Meanwhile Sandeep Sharma looks to be another good swing bowler in the making. For a state which produced many international players in wrestling and hockey, cricket took some time to come up the ranks but has surely taken a giant leap forward with change of the millennium. UP always had some really talented cricketers at the domestic level who quite never made it to the national level. Gopal Sharma and Gyanender Pandey were heavy scorers in Ranji cricket for but never made an impact at the national level. Muhamad Kaif pioneered a revolution of sorts in lifting UP cricket to the next level. Kaif was a handy middle order batsman who manoeuvred the ball well and ran lightning quick between wickets. Kaif was extremely athletic and fit which made him a brilliant fielder at point and covers. Suresh Raina has been a pocket dynamite with is bludgeoning stroke play. Raina has been a match winner for India in the T-20 and ODI format scoring match winning cameos to close games for the country. Raina is handy with is part time roll overs. Raina is a brilliant fielder and lifts up the morale of the team owing to his cheerful attitude. Piyush Chawla has been the ace leg spinner for UP .Chawla has made it to the national team and troubled many international batsman with his Googlies. Seamer RP Singh made an impact with his brief stint in the Indian team. RP bowled brilliantly in the T-20 World Cup and has made notable contributions with the ball in India’s ODI setup. Praveen Kumar and Bhuvneshwar Kumar have been great exponents of swing bowling. Both men aren’t express fast but have impeccable control to swing the new cherry enough to trouble top order batsman in the opposition. When the domestic structure of Indian cricket just came into being, Madhya Pradesh then the Holkar State was the most dominant side of that era. Mushtaq Ali was one of the stalwarts of Indian cricket in the nascent years played for Holkar. Over the years MP had held its forte in the central zone along with UP but never had cricketers of that stature who could push for a place in the national squad. Amay Khurasiya a heavy scorer in domestic cricket made it to the national team in the 90s. Devendra Bundela was another stalwart for MP in domestic cricket who became a prolific run scorer in domestic cricket for the state. Narendra Hirwani was a revelation of sorts when he ran through the West Indies side in his debut series. Rajesh Chauhan was another spinner to come out of MP who did well in the limited overs format in the 90s. Meanwhile JP Yadav (also played for Railways) was a handy all-rounder who made it to the Indian team. In recent times Naman Ojha has been one of the best wicket keeper batsman we have in the country who has been in the contention for national selection. Ishwar Pandey is a tall and lanky pacer who can extract good bounce on any surface has also made it to the national side.